The story of the Raintree Restaurant reads like a romantic novel. On March 30, 1979, the MacDonald family—Tristan and Alex, and son Gaere, and daughter Lorna—left England in their 45-foot yacht, Intsholo III, bound for the United States, just as their countrymen had done in the 17th century, and for much the same reason. After selling everything—business, house, cars, and furniture—they said goodbye to Europe. On Nov. 7, 1979, they left the safety of the Canaries for the open Atlantic. The crossing took nearly 18 days before Intsholo III anchored at Bridgetown, Barbados. 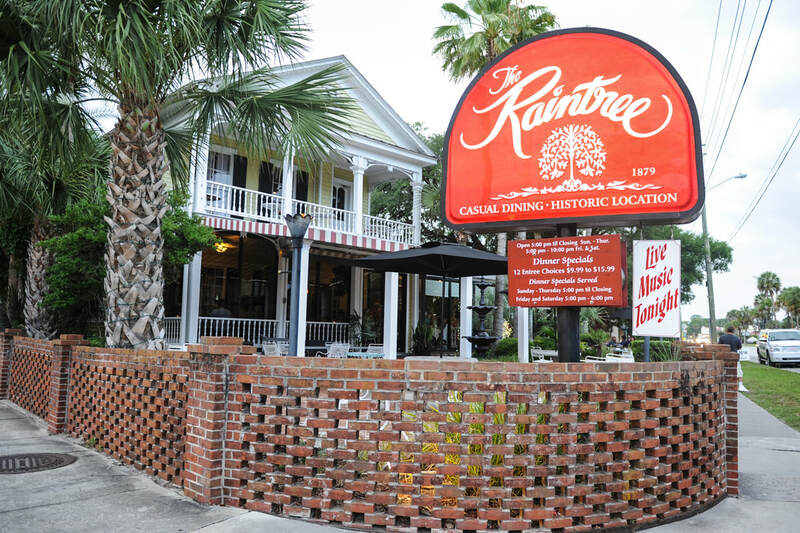 The next step was across to Florida and then north to St. Augustine, where the MacDonalds found the Victorian-era home that became The Raintree after extensive refurbishment. 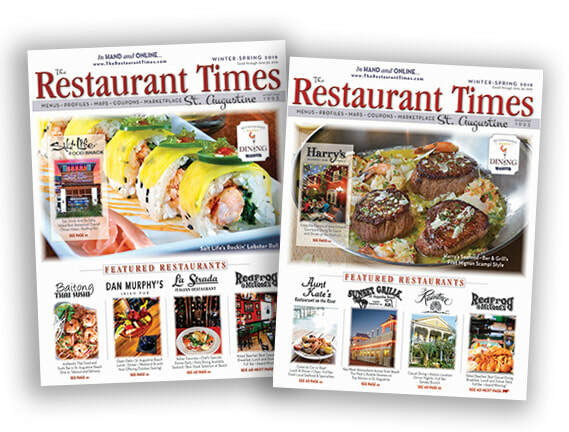 ​ Since opening in 1981, The Raintree continues to be recognized nationally and internationally as one of Florida’s top restaurants. The warm, inviting ambiance of the restored 1879 home—and brick courtyard, gazebos and koi ponds—provide the perfect setting for memorable dining and special events. The menu features hand-cut steaks, fresh local seafood, chef’s specials and handcrafted desserts, notably made-to-order French crêpes. 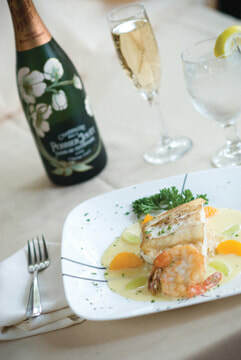 Specialties such as Brandy Peppersteak and Beef Wellington have put the restaurant on the map of gourmands the world over. 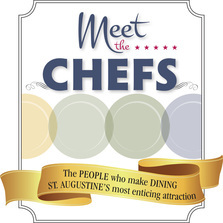 For dinner nightly and Sunday Brunch, Raintree is a St. Augustine tradition not to be missed!